This fluid an unusual stool transcends design and jewellery. 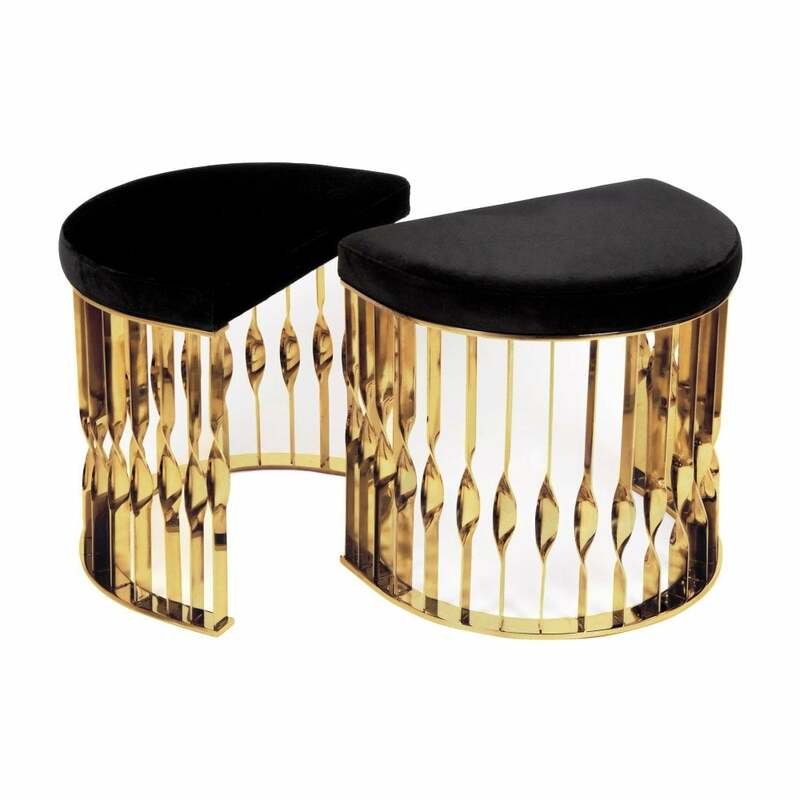 Conceived from a cuff bracelet, the demi-lune Mandy stool will embellish any setting with its soft upholstery and a base in twisted high-gloss brass. Seat Cushion: KOKET fabric collection). Base: Polished brass.